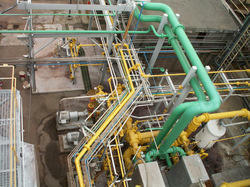 We provide our clients Offshore Coating Solution. The major benefits of coating before packaging comprises of versatility of coating chemistry (e.g. gas or liquid based reactions, high or low pressures) and feasibility of extensive testing before packaging. Precisely composed, this coating solution is offered by us at reasonable prices. We are offering Sigma Therm Coatings to our clients. Some of the most challenging coatings situations that exist in industry today concern heat resistance. There is a continuous demand for coatings that can maintain their function despite exposure to the extremely high operational temperatures found in the power, offshore and oil and gas processing industries. Sigma Protective Coatings include a range of high quality, high performance heat resistant coatings developed specifically to meet this challenge, Sigma Therm. Within this range you will find solutions that are able to cope with extremes of temperature and deliver a dependable long-term performance for both new construction and maintenance alike. Epoxy Coatings includes Primers, Build coats and Sealers. The latest Development within the range, Sigma Cover 1500, is applicable as a primer and build coat. Its compatibility with virtually all aged coatings makes this product the number one choice for maintenance of major assets. It offers excellent corrosion resistance in industrial or coastal applications. The Sigma Cover range offers a number of easy to apply solutions, adding up to the benefit of being suitable for a wide range of applications within the Protective Coatings Industry. For more detailed information, download the Sigma Cover range brochure or contact your nearest PPG Protective Coatings sales office. We are offering Sigma Zinc Coatings to our clients. Heavy duty applications like for instance bridges, petrochemical plants and offshore assets require maximum protection, sometimes more than can be provided by conventional systems. Sigma Zinc offers a complete range of high quality zinc primers which can be built in as a primer in systems with epoxies and polyurethane topcoats. Depending on the zinc level of the Sigma Zinc product the required performance protection of the asset can be obtained. Throughout the years the Sigma Zinc range has proven to give long term performance in the most aggressive environments like in offshore where salt and humidity are inevitable. Sigma Zinc products can be built in coating systems that meet international standards like ISO 12944 and NORSOK M501. For more information find the attached file. We are offering Sigma Shield Coatings to our clients. Heavy duty applications require more than can be offered by conventional coatings. The Sigma Shield range of products offers long term cost-effective protection in the toughest of environments. The systems deliver greater protection because they are all reinforced with either glassflake, aluminium oxide or flint depending on the level of duty required. The Sigma Shield range of products are qualified and approved to meet the demanding duty of offshore, oil and gas, power and infrastructure applications. For the ultimate in chemical and abrasion resistance requirements, the range includes Sigma Shield 1200. Tests clearly show the combination of phenolic epoxy and aluminium oxide give much higher abrasion resistance than glass reinforced systems. 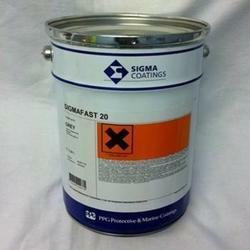 We are offering Sigma Guard Coatings to our clients. PG Protective and Marine Coatings provide world-beating tank linings which are used for all types of cargoes and stored products. 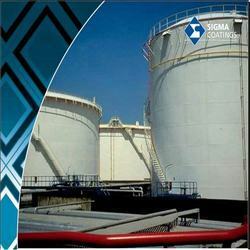 The Sigma Guard range includes pure epoxy, phenolic epoxy, and zinc silicate tank coatings. It offers long-term anti-corrosive performance as well as solvent based and solvent free coatings. To check the resistance of members of this product family against your cargo that needs storing, consult our Sigma Tank Select Programme online. For full product information contact your nearest PPG Protective Coatings sales office or download the Sigma Guard Range Brochure and consult our Product Data Sheets. Looking for Offshore Coating Solution ?